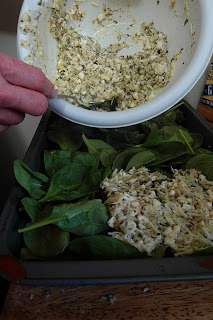 ' Marme's Spinach Lasagna - Sisters, What! My sweet mother came to visit a week ago, and while here she finally taught me how to make lasagna. 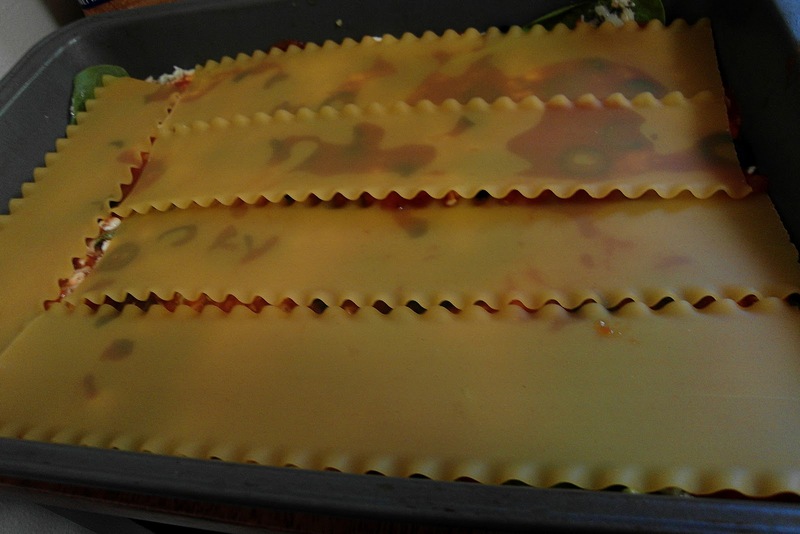 Yes, I admit, I have never made lasagna before; It just didn't seem worth the effort to me (call me lazy). 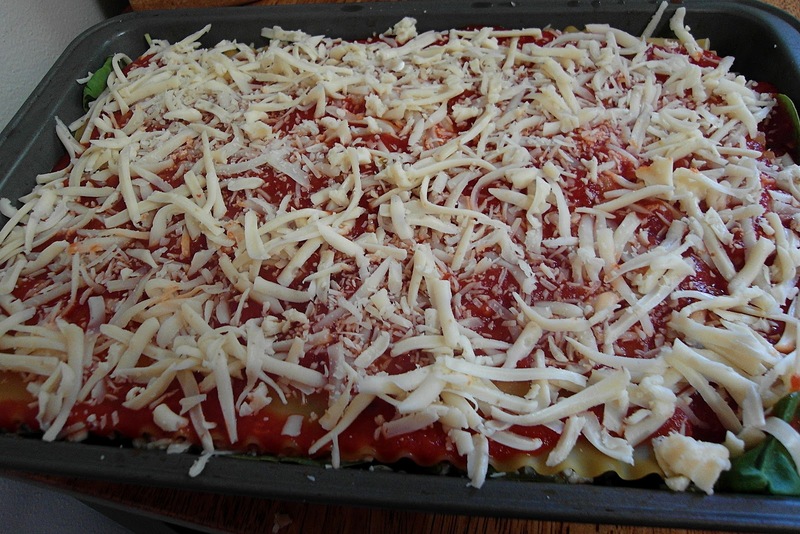 My mom's secret to a quicker lasagna? 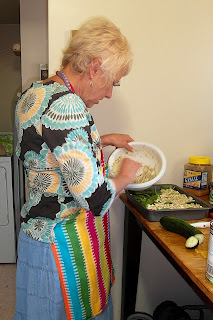 she never cooks the noodles before hand. Who knew? The other secret to its amazing tastiness? spinach. 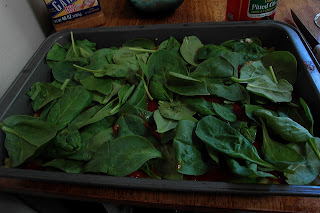 When I was little, it was the only way that I enjoyed spinach and I used to hate it! My mom sure was tricky. The best part about it is that you don't even realize that there is no meat in it. It's that good. 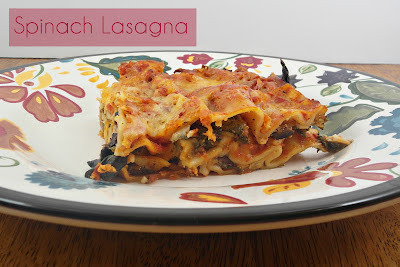 So here's to the best vegetarian and spinach lasagna you'll ever eat! 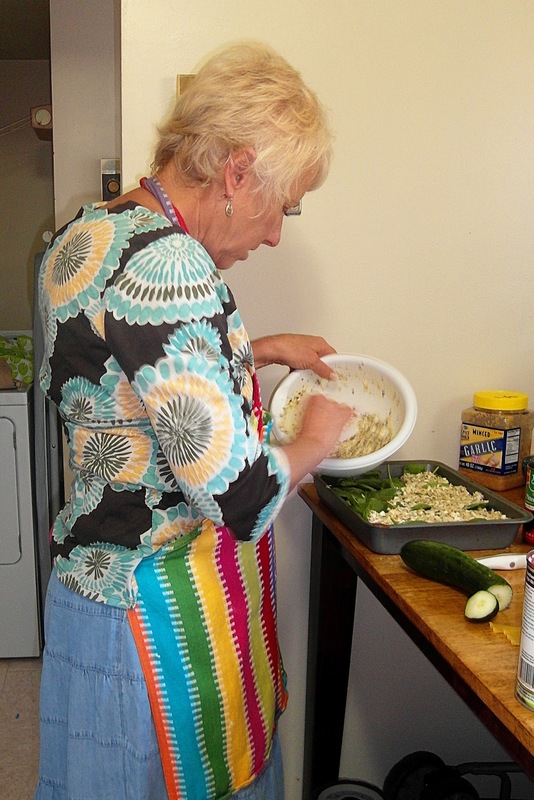 And here is my beautiful mother hard at work. I love it when she cooks. - Lastly add one more layer of noodles and sauce. Then finish with a thin or thick (what ever you prefer) of delicious mozzarella. Cover with foil and back at 325 degrees for 1 hr. That's looks really good - pinning it now! Oh my. This looks so good! I love spinach recipes. :) Thanks for sharing! New follower here. Can't wait to get to know you cute girls more! My daughter will love this recipe because she likes GOOD & EASY. I'm visiting her and this recipe will be part of the meal line-up. Will pin it now as I'm sure others will enjoy too. 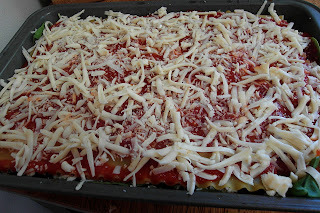 This looks so scummy I have a family that love lasagna so I must try this one.